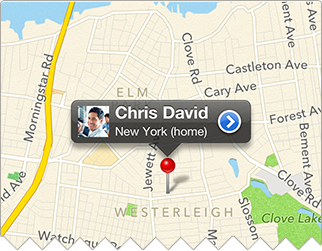 dedicated to organizing your address book to allow for fast, easy management. This is the app that demands to be positioned on the front page of your iPhone in whatever position your thumb can tap to quickest! Suddenly the address book is not just a place to stash a name, number and email address, but has the capacity to take organization to a whole new level. Elegant and intuitive design combined with drag and drop functionality not only looks and feels great but means the app is easy to use while incorporating high tech features. 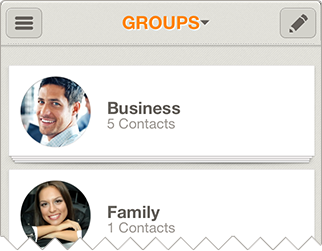 ‘Smart Lists’ automatically assign contacts into groups based on shared attributes. Without any manual grouping required, Smart Lists batch together contacts by company, city, country, zip code and birthday, amongst many other traits. 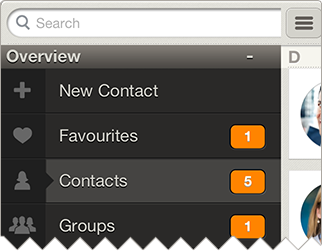 Organise contacts into specific groups. 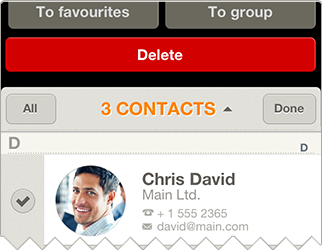 Ability to select / deselect groups / individuals in order to email/SMS an entire group with a single tap. Finally, the ability to action repetitive tasks without losing your patience and sanity! Put a face to the name. 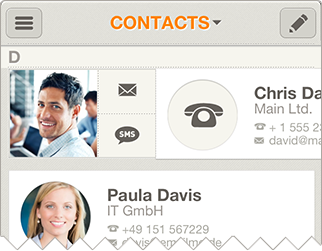 Scroll through your contacts to view photos alongside names. The perfect search field for the person who is terrible at names but will never forget a face. Created to run harmoniously with existing iPhone Address Book. 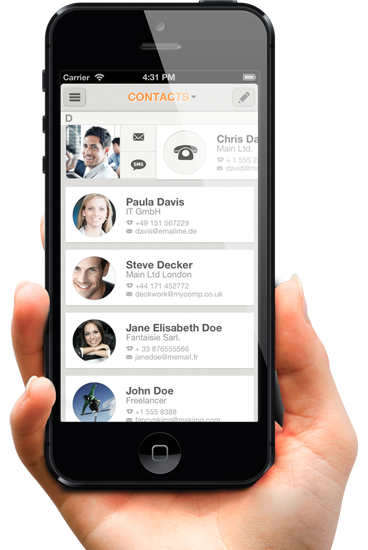 Contact information is collated automatically from iPhone contact list and Facebook to create richer, more meaningful contact profiles. 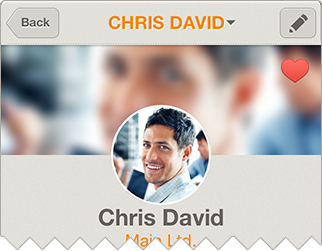 Utilising GPS technology, see who of your contacts is nearby. Adding contacts’ addresses via GPS location is effortless, the perfect feature for business meetings with the ability to batch add addresses with one single tap. 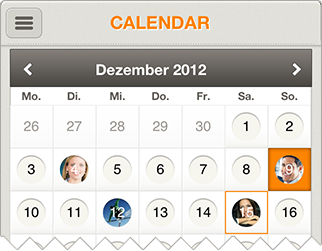 With an integrated birthday calendar and optional birthday reminders, friends will never be forgotten again. You could say Contaqs makes you a better friend! 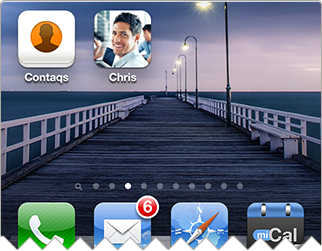 Add your beloved contacts to the home screen of your iPhone and call their phone number with just one single tap. Contaqs is available in your language. 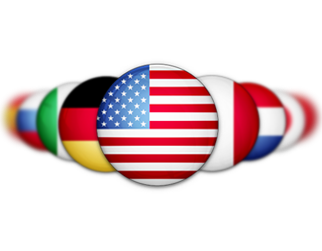 Currently we support: English, German, French, Dutch, French, Italian, Japanese, Portuguese, Russian, Chinese, Spanish. Want to write about Contaqs?